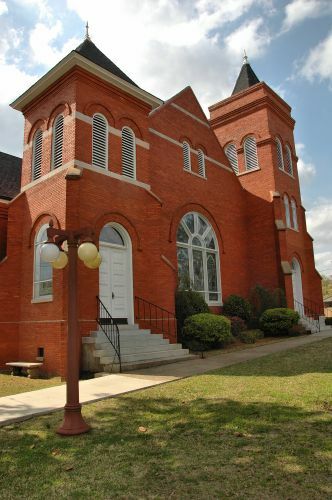 Now the Arlington United Methodist Church, this congregation originated as the Methodist Episcopal Church, South. It was chartered around the time of Arlington’s founding, (1873). Designed in the Romanesque Revival (Akron Plan) style by T. Firth Lockwood, Sr., it is the oldest church in Arlington and remains a center of community life. Richard C. Ward III writes: John A. 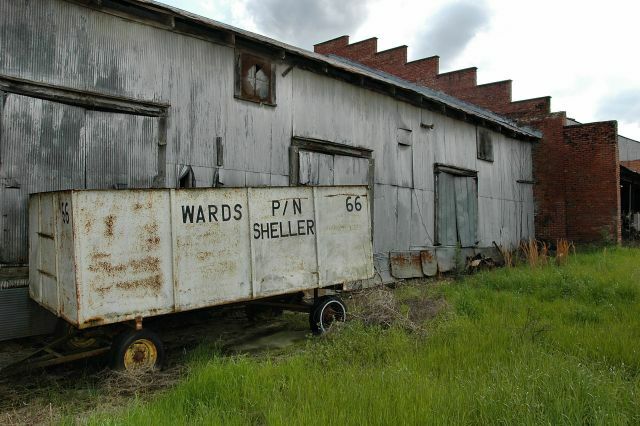 Ward, his wife Ewing, and his sons Clarence Ward and Richard C Ward Sr. came to Arlington from Abbeville,, Alabama in 1910 and started Wards Bonded Warehouse. All three of R C Sr’s sons worked there growing up. My first job was at the warehouse at the age of twelve in 1964. I worked there until I graduated from high school. Uncle Bruce was my boss. It was a great time in my life and very hard work. I mostly worked in the peanut seed sheller that Bruce and R C Jr (my daddy) owned. 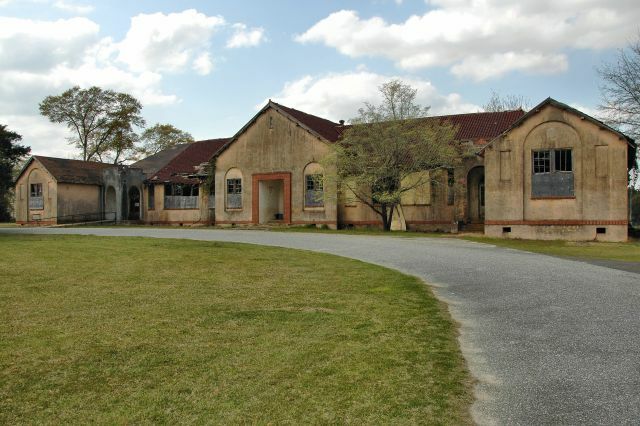 This historic school is in need of immediate stabilization but in reality will likely be lost. 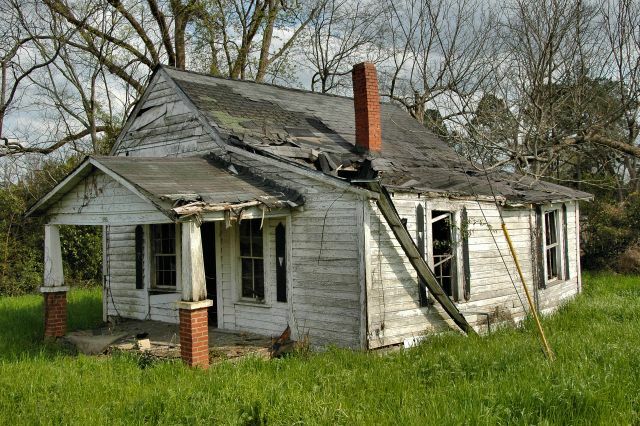 As you can see in the closeup below, the tile roof has already been replaced in one section and is collapsing further. 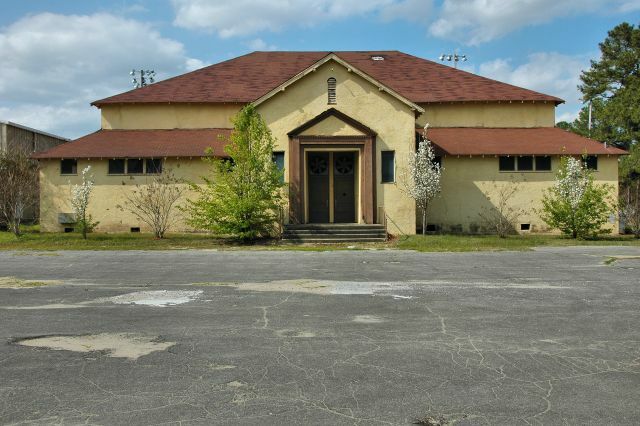 The gymnasium (below) also survives, but is in poor condition, as well. 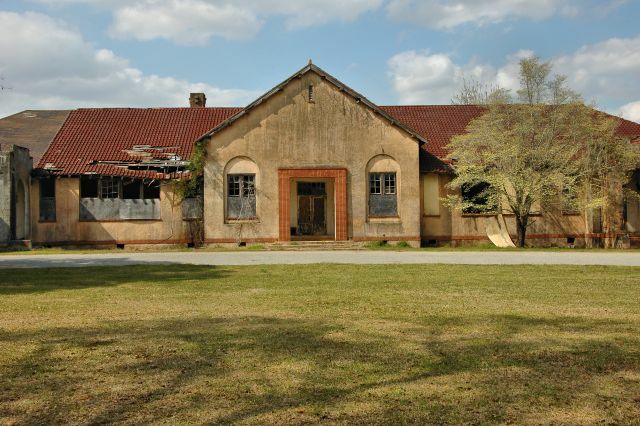 Update: Jessica McDaniel reports on Southwest Georgia in Photographs that the old school has been leveled, as of 2017.